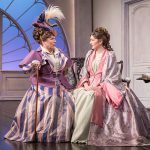 The Importance of Being Earnest, a brilliant mixture of elegant sophistication and preposterous nonsense, is the wittiest comedy in the English language and regularly revived world-wide. 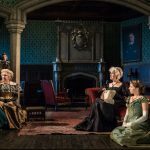 In the last ten years there have been six productions in London alone, including this one, the inevitable climax for Dominic Dromgoole’s Classic Spring Theatre Company’s year-long celebration of Oscar Wilde’s plays. Wilde in an interview with Robert Ross in the St. James’s Gazette just before the premiere in 1895 said that audiences were to expect something exquisitely trivial, a delicious bubble of fancy, which had a philosophy and that was that we should treat the trivial things of life very seriously and the serious things of life with sincere and studied triviality. There isn’t a topic Oscar doesn’t touch: social etiquette, politics, food, music, servants, celibacy, romantic love, proposals, marriage, parenthood, unmarried mothers, abandoned babies, the three volume novel, girls’ diaries, education, Germans, Australians, baptism, death, mourning, even burial in Paris. Michael Fentiman’s production goes back to the original four-act version for dialogue which actor-manager George Alexander (who was playing Jack Worthing) had cut for the premiere. The entrance of Miss Prism in the last act and the discovery of the handbag are taken much more seriously but the re-instated dialogue is often messy and the finale is now not nearly as sharp. I wish Fentiman had included instead the humorous scene with the solicitor, Mr Grisby, who comes to serve a writ on Algy in relation to his numerous debts. The truth is rarely pure and never simple. 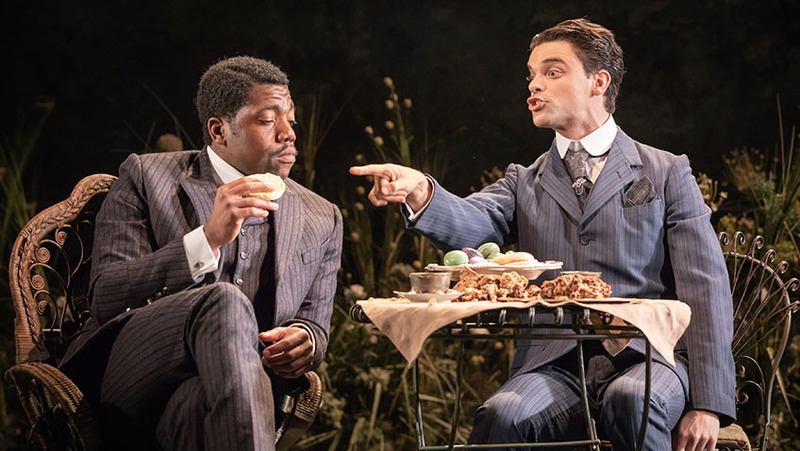 Algy (Fehinti Balogun) and Jack (Jacob Fortune-Lloyd) are, like Oscar and his lover Bosie Douglas, “confirmed and secret Bunburyists,” leading double lives. 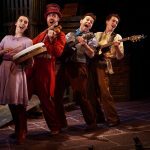 Earnest was Victorian slang for homosexual and Cecily was a popular trade-name for rent-boys. There is a painting of two naked men fighting hanging on the wall of Algy’s apartment. An unlikely gay sub-text is explored with Algy and his elderly manservant in a farcical manner. The women’s singles between Cecily Cardew (Fiona Button) and Gwendolen Fairfax (Pippa Nixon) over the tea-table, which Cecily wins, game, set and match, is grossly overacted. 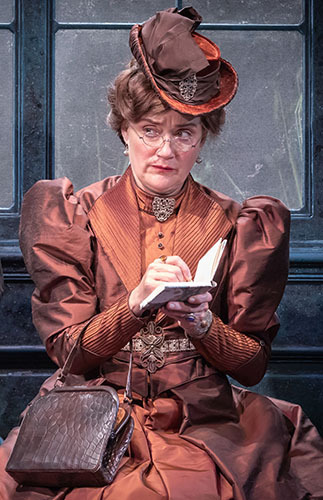 Oscar Wilde’s wit does not need the sledgehammer approach it gets so often from Fentiman and Sophie Thompson, badly miscast as Lady Bracknell.